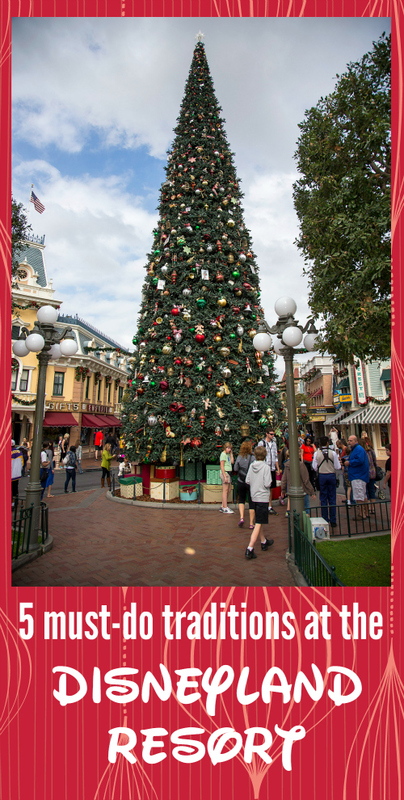 The Disneyland Resort is always crowded during the holidays, and for good reason. No, it's not just because everyone is on holiday. 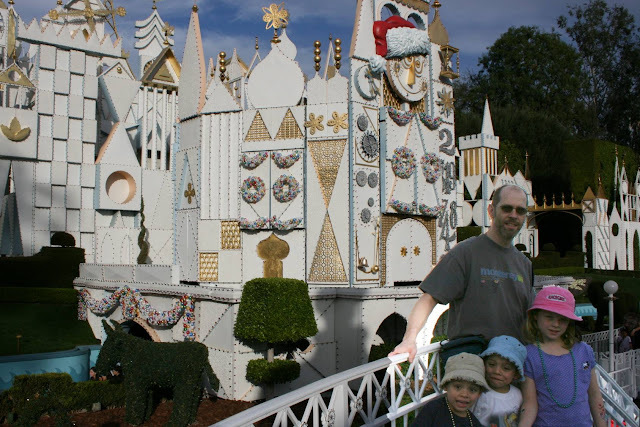 It's because Disneyland has the ability to create special holiday experiences that turn into family traditions. Their imagination and creativity and attention to detail transform park attractions that you can enjoy any time of the year, into completely different. Here are my five favorite Disneyland holiday traditions (I have enjoyed four of them, so I can personally vouch for them, and I've heard so many great things about the fifth one that I've placed it on my bucket list!). 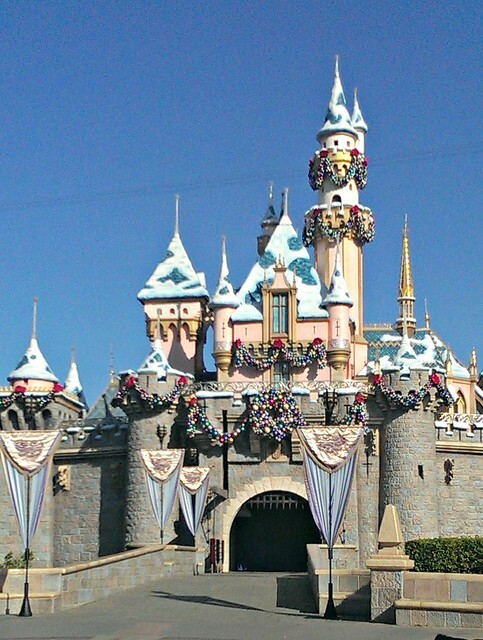 Look no further than Sleeping Beauty's Castle for your family holiday photo! Sleeping Beauty's castle is shimmery and glitzy and picture perfect for the holidays, but this year it's shining brighter than ever due to its dazzling Diamond Year makeover. 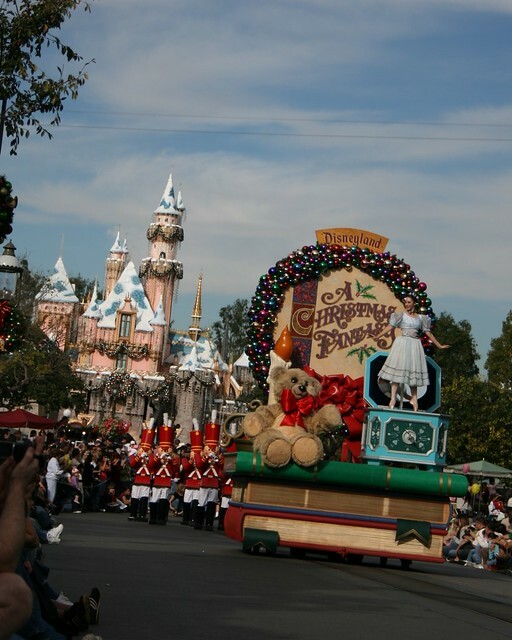 I was eight years old the first time I watched the holiday parade at Disneyland. I considered myself quite the grown-up kid... but my so-called sophistication disappeared the moment I saw that first red toy soldier marching down Main Street. A Christmas Fantasy Parade is like Babes in Toyland come to life. 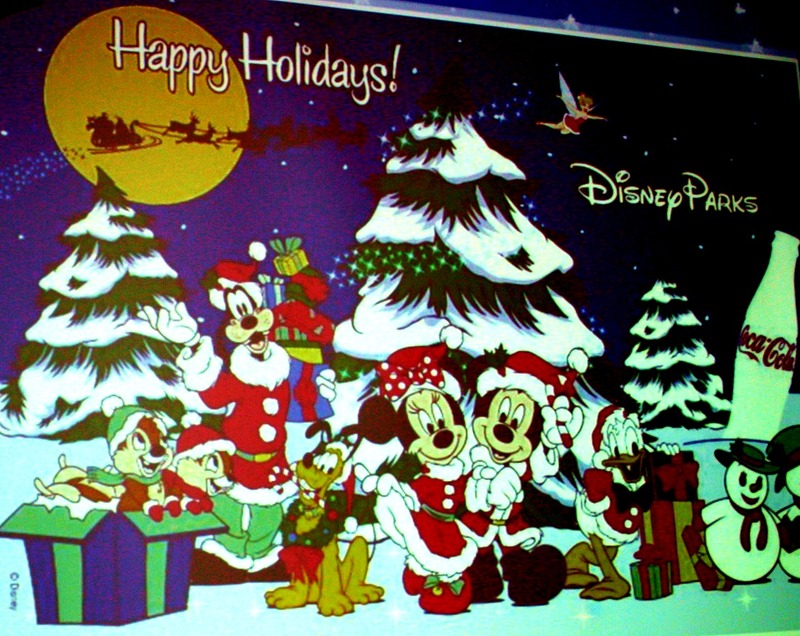 Every character is dressed in holiday finery, and brimming with merriment. These days we don't usually make time to watch parades, but A Christmas Fantasy is definitely a parade worth waiting for. 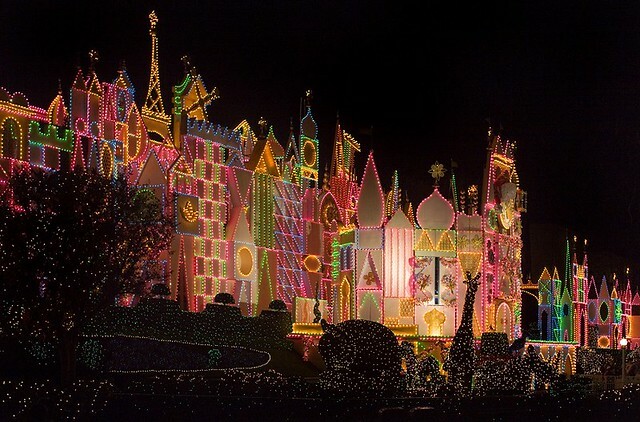 I've enjoyed It's A Small World countless times, but the attraction is a completely different experience during the holidays. All the cute little dolls don their white holiday attire, and the music switches from "It's a Small World" to a Jingle Bells/It's a Small World medley, sung in different languages. The outside is adorned with thousands of lights and the smiling clock face sports a Santa hat. It's such a special experience! I think I love the holiday version of Haunted Mansion even more than I do the rest-of-the-year version! 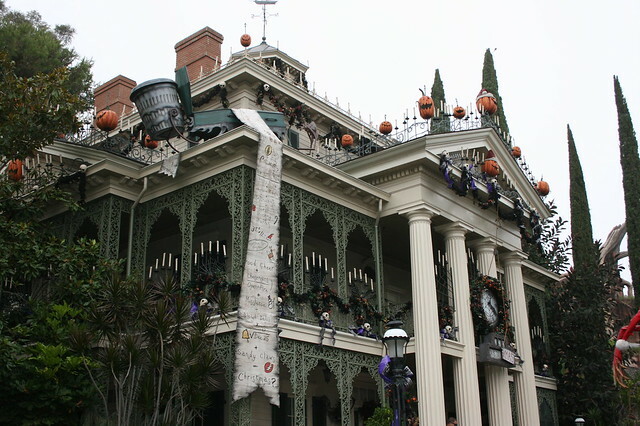 Jack Skellington and his crew infuse the mansion with Halloween humor and holiday cheer. The outdoor holiday decorations are amazing, and I always look forward to seeing (and smelling!) the gingerbread mansion in the haunted dining room. This year, the Hatbox Ghost is joining in the holiday fun, so visitors have to watch out for him to see how he celebrates the holidays! 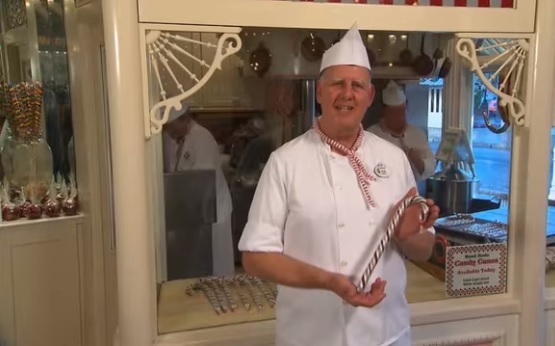 Disneyland's hand-made candy canes are the stuff of legend (they have been making these for over 35 years), and this is one tradition that I have never had the fortune to enjoy... but it's on my bucket list. Candy cane making is such a labor intensive process that only 3 batches are made per day in the park. People start lining up 30 minutes before park opening to buy candy canes! The Disney Food Blog has the scoop on this year's Candy Cane dates and tips on how to score a candy cane. If you arrive too late to buy one, don't worry, you can bury your sorrows in a marshmallow wand or some other amazing Disneyland holiday treat! There are also "alternative"candy canes for sale, but those are not made fresh in the park; I've heard the recipe is the same, but they are made in a factory. 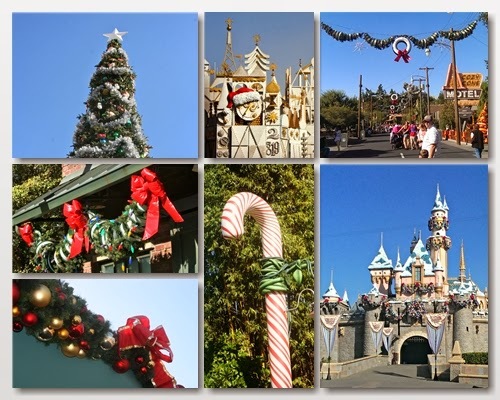 Which holiday traditions at the Disneyland Resort do you enjoy? Click here for an overview of what's going on for the holidays at the Disneyland Resort!